Christ the Redeemer (Portuguese: Cristo Redentor) is a statue of Jesus Christ in Rio de Janeiro, Brazil; considered the largest Art Deco statue in the world as well as the second largest statue of Jesus Christ, a title it long held until surpassed in 2010 by the statue Christ the King in ?wiebodzin, Poland. It is 39.6 metres (130 ft) tall, including its 9.5 metres (31 ft) pedestal, and 30 metres (98 ft) wide. 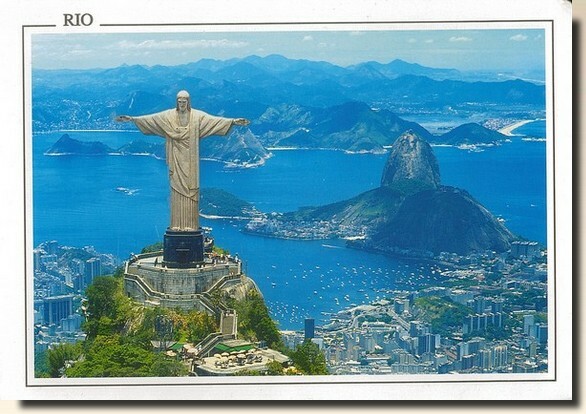 It weighs 635 tonnes (625 long,700 short tons), and is located at the peak of the 700-metre (2,300 ft) Corcovado mountain in the Tijuca Forest National Park overlooking the city. 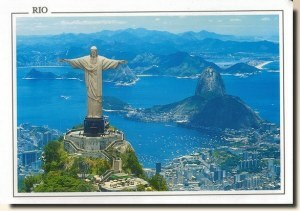 A symbol of Christianity, the statue has become an icon of Rio and Brazil. It is made of reinforced concrete and soapstone, and was constructed between 1922 and 1931.